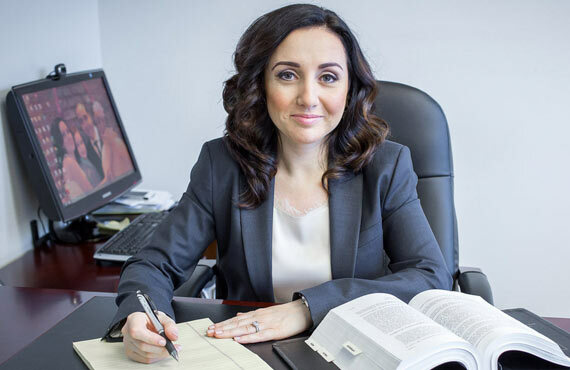 Since most people are overwhelmed by the excruciating immigration process, finding the right immigration lawyer is one of the most important decisions you can make. And, with more than 7,500 immigration lawyers practicing in the United States, finding the best one to handle your case can turn out to be a daunting task. 1. Experience: When it comes to explaining your legal options and obtaining results, experience is important. The immigration lawyer you choose should be a member of the American Immigration Lawyers Association (AILA). AILA is probably the immigration lawyer’s best resource for up-to-date information. It is also a good idea to seek a strong reference from a family member, friend or colleague. Immigration law is very complex with a variety of subspecialties. You should be sure that your lawyer has experience handling your particular type of petition. 2. Focus: Some law firms practice many types of law. An attorney who concentrates primarily in immigration law is more likely to have a higher level of expertise and be updated on the latest developments. The size of the law firm is also relevant to make sure you receive the personal attention of an attorney and not just a paralegal. Immigration consultants who assist in completing forms are not lawyers. 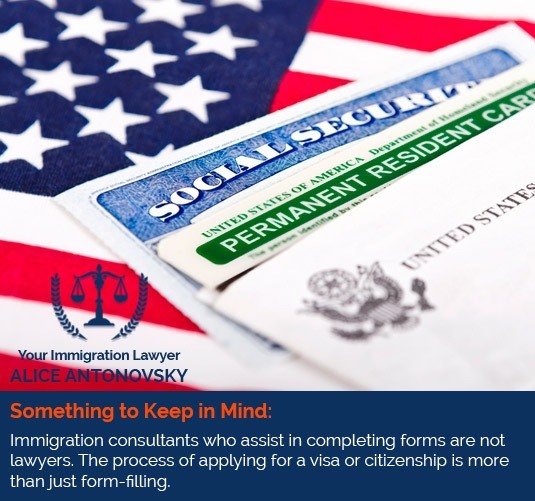 USCIS has warned that the process of applying for a visa or citizenship is more than just form-filling. These consultants will not be able to intervene on your behalf should a problem arise in your case. 3. Commitment to Clients and Results: If you are not a native English speaker you may feel more comfortable working with a lawyer fluent in your language. A good lawyer will explain matters clearly, and thoughtfully and not just tell you want they think you want to hear. 4. Location: The geographical location of your immigration lawyer is not nearly as important as in other areas of law. Immigration law is strictly federal in nature, which means it is basically the same system in each state. 5. 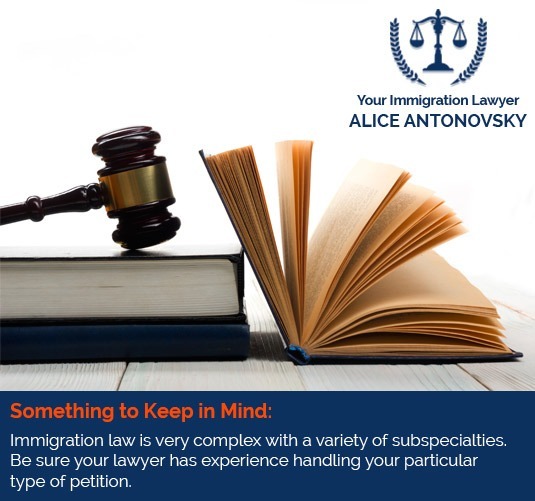 Individual Preferences: You must also consider your individual preferences when selecting the right immigration lawyer. For this reason, such aspects as race, language and gender may come into play. It is recommended to work with an attorney you are comfortable with. 6. Ethics: Honesty is extremely important in immigration, and lawyers should be no exception. It would be wise to stay away from any immigration attorney who advises you to lie or otherwise act dishonestly. In addition to being unethical, it can seriously hurt your chances of success. 7. Consultation: Schedule consultations after you've narrowed your list down to just a few attorneys. Immigration attorneys usually offer free initial consultations, giving you the opportunity of getting to know him or her better. If you have any questions in regards to your case and its outcome, make sure to bring them along. Please steer clear of paralegals and notaries offering immigration services. Although the low price may entice you, they are not allowed to offer you legal advice and cannot do anything more than help you fill out paperwork. They are not allowed to represent you in court and most importantly, they do not know they law and do not stand behind what they do for you as an attorney would. The most important thing to do when choosing an attorney is to choose one who is reputable and whom you trust. 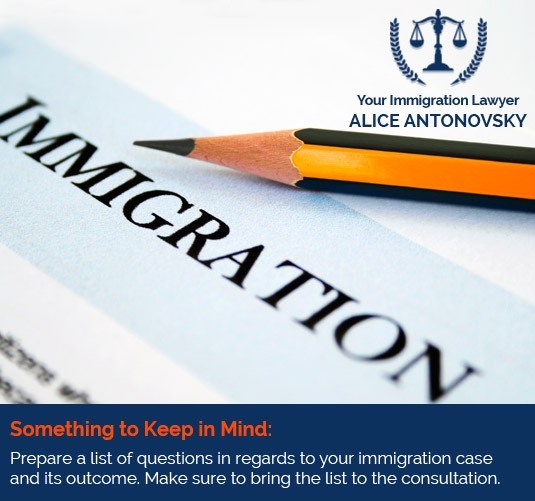 This will give you peace of mind while they handle your immigration case. Please note that nothing contained herein shall constitute legal advice or shall be deemed to create an attorney-client relationship.